This episode of the Bill Moyers Journal features an informative interview of former Secretary of Labor Robert Reich on the state of the American economy and the political ramifications of the Obama health care debate, along with authors Harvey J. Kaye and Richard Brookhiser's thoughts on founding father Thomas Paine. The Bill Moyers Journal has made media history for its compelling interviews of some of the most important thinkers and innovators on the American scene. In this episode, host Moyers interviews another one of these people who has made an enormous impact on society. Robert Reich is the former Secretary of Labor during the Clinton Administration. From this position, Reich became familiar with the inner-workings of Washington politics. He is also a tenured Professor in the highly ranked University of California, Berkeley Department of Economics. Viewers have the opportunity to hear this expert’s latest thoughts on the state of the economy and, in particular, the political debate over the Obama health care proposal. Reich argues persuasively that possibilities of health care reform hinge most prominently upon the Republican dislike for the public mandate. This portion of the bill presented by President Obama would allow the average person to command lower prices on pharmaceutical and related care costs. Republicans see this sort of manipulation of the free market as intrusive. Reich discusses the politics of health care reform and of how lobbyists contribute to the heated debate. The second part of this broadcast is an interview of authors Harvey J. Kaye and Richard Brookhiser. Kaye is an historian and sociologist who writes often on early American history and class issues. Journalist Brookhiser is an editor at the National Review and author of a series of books on the nation’s founding fathers. 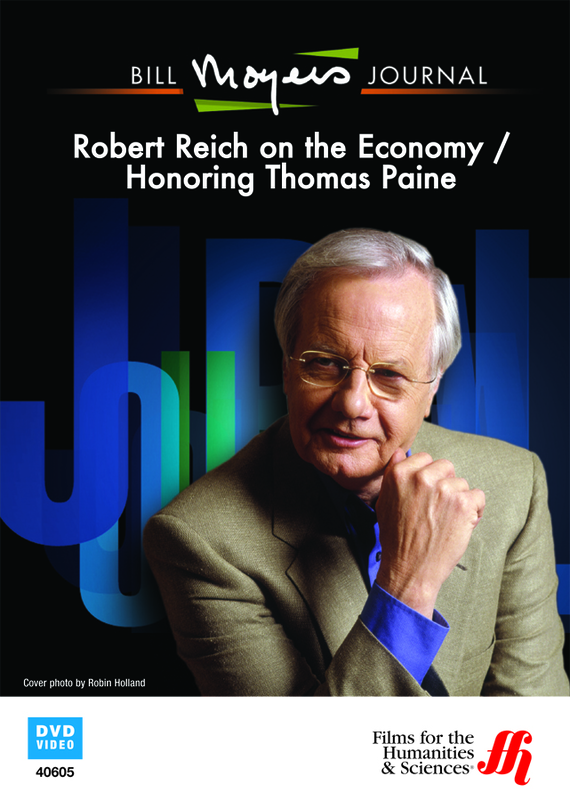 Moyers speaks with the tandem about the legacy of founder Thomas Paine, who famously published Common Sense in 1776, a plain language challenge of the British Crown. Both Kaye and Brookhiser believe that Paine’s rhetoric still has relevance today with both liberals and conservatives.